Each year of our annual CROP Hunger Walk we encourage students to contribute a poster or banner to help us raise awareness about the issues surrounding hunger and poverty here in the United States and around the world. Food insecurity, lack of clean water, proper sanitation, and safe shelter are all part of what people experience. 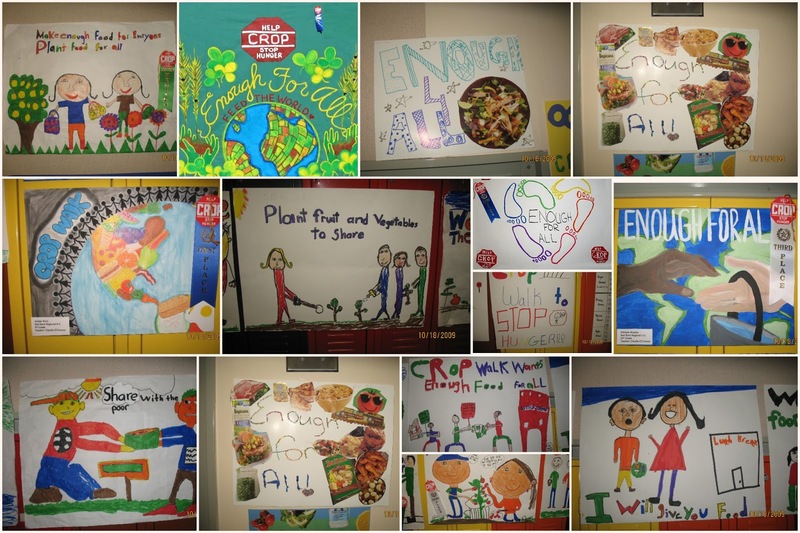 Our contest allows students to express how they feel about such important issues. This year we're reusing a theme from 2009 "ENOUGH for ALL". It's simple. We believe that there are enough resources in the world to provide nutritious food and clean, safe water for everyone. Without these basics our human family can't survive. and Art Contest Chair Monica Faett.